Last Friday I showed you one of Fabergé's brooches, and here is another one! It was made by workmaster Alfred Thielemann, around 1910. The brooch is made in Art Deco style, of silver-topped gold. It is set with a big faceted aquamarine, one brilliant, and many rose-cut diamonds. 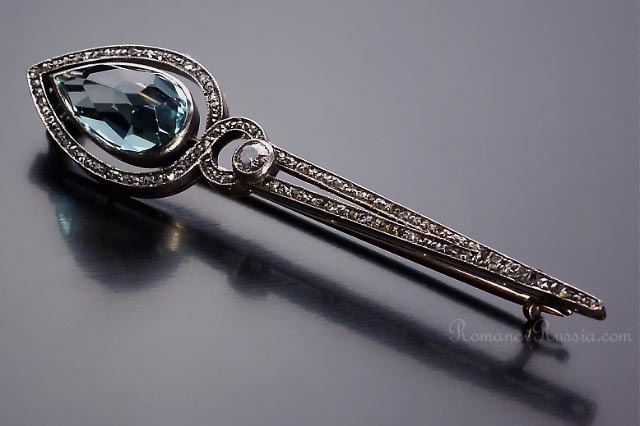 The length of the brooch is 6.2 cm, and it has been sold at Romanov Russia.